The face of gaming has changed a lot since the early 90s. If like me you grew up playing games like Micro Machines, at least part of you is probably hell bent on feeling that sweet nostalgia. 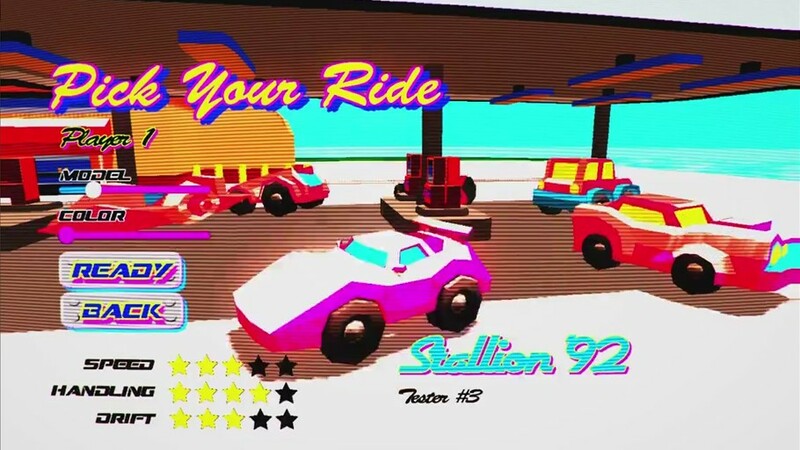 Good news is that the new indie title Rad Road Rally has you covered. Fun fact: J.J Abrams didn’t have anything to do with the lens flare. Rad Road Rally combines simplistic gameplay, retro graphics and a banging soundtrack, which when combined tick all the boxes for a fun time. The game supports local multiplayer for up to four player and four CPU racers. The game also supports controllers, which is handy, but may detract from the nostalgia of having to sit on a bunch of cushions to reach a keyboard (everyone else stopped growing at six, right?). It’s a fact that red cars go faster. The game is also fun single player, there are cars to unlock and a Grand Prix to be won, however it is best played multiplayer, because nothing beats trash talking friends when you destroy them in a game format that has been around for thirty years. If Rad Road Rally sounds like something that you’d be into, it can be yours for just $3.95 USD from itchi.io. Charlie will physically beat anyone who challenges him to micro racing games, follow him here @clbraith, and don’t forget to follow @load_screen and like us on Facebook.